Does Breed Affect Insulin Dynamics? 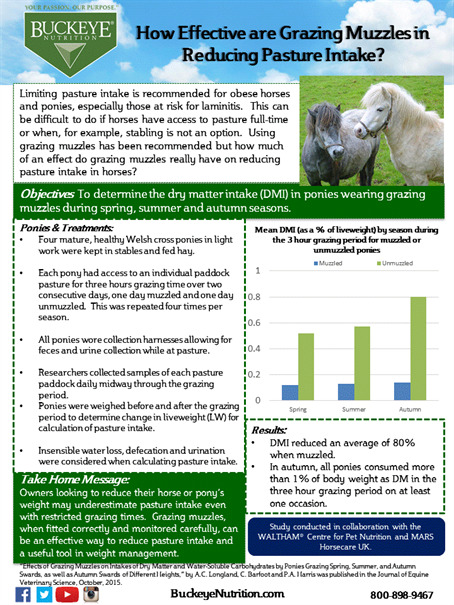 Being obese and/or having abnormal insulin responses (insulin dysregulation or ID) is thought to increase the risk of laminitis. Obesity is often associated with ID in certain breeds, but are there breed differences in insulin responses regardless of body condition? 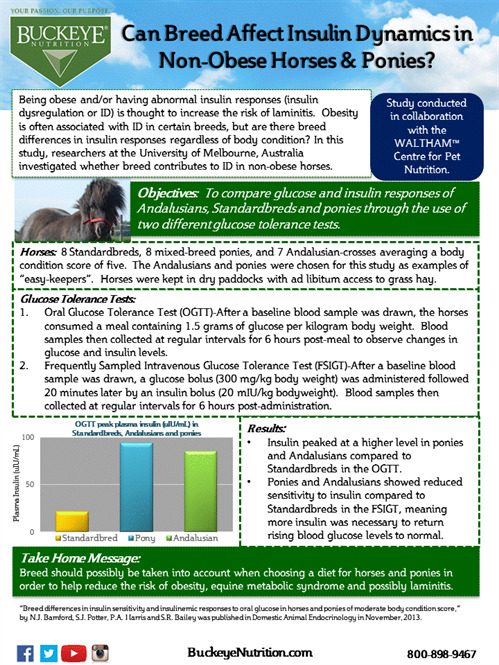 In this study, researchers at the University of Melbourne, Australia investigated whether breed contributes to ID in non-obese horses. Click the image below to read more about this exciting research.